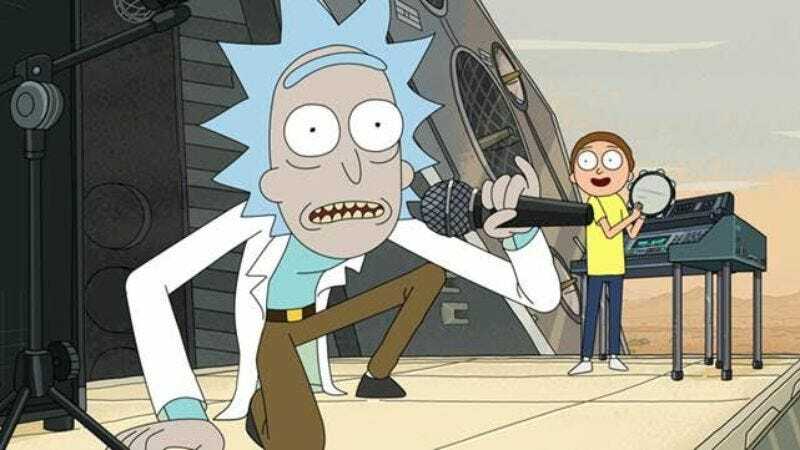 Rick And Morty continues on its way to a century of adventures: Deadline reports that Adult Swim has just renewed the show for a third season. The animated comedy, created by Dan Harmon and Justin Roiland, follows alcoholic scientist Rick who, after moving in with his daughter’s family, endangers and enlivens his grandson Morty’s life by taking him on intergalactic adventures. Roiland voices Rick and Morty, and the rest of the family is voiced by Sarah Chalke, Chris Parnell, and Spencer Grammer. It’s an honor to see Rick And Morty join the exclusive club of shows with over 19 episodes. It’s time to demand that the network allow us to draw the characters going to Hawaii. If you haven’t already, you should check out the TV Club interview with Harmon, Roiland, and writer-performer Ryan Ridley in which they discussed working with Stephen Colbert and avoiding writing “payoff-based” TV.